Hello and welcome to the internet home of Rottweiler Zwinger vom Schönen Dorf. My name is Scott Norris and I am the owner. 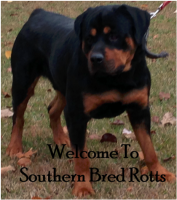 We are a small, hobby Rottweiler kennel formerly of Northwest Florida, we are now located in Meridian, Mississippi. 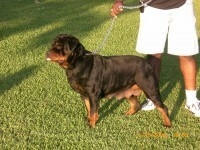 We are a “Code of Ethics” Rottweiler breeder of 100% German line Rottweiler puppies. We are proud and active members of the ADRK (Allgemeiner Deutscher Rottweiler Klub e.v.) and the RKNA (Rottweiler Klub of North America).